Here is a live stream coverage of the manhunt for Suspect 2 in the Boston Marathon bombing which occurred on Monday. Suspect 1 was shot last night and died at the hospital. Boston has now shut down the entire city which has never happened before. Tamerlan Tsarnaev was Suspect 1, dark hat, which was shot and died last night. 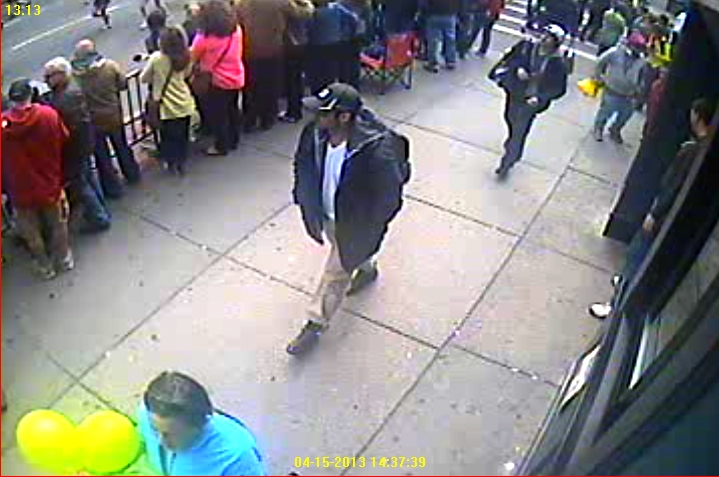 Dzhokhar Tsarnaev is Suspect 2, white hat, still on the loose. Plus several others. You may view here. What seems odd is that would someone who is intelligent enough to successfully set bombs off during the Boston Marathon really throw out evidence like a billboard-sized neon sign of books and material like this? Or did he really not care about covering his tracks?